Bhyrav Mutnuri, an engineer at Bedford Reinforced Plastics Inc. (Bedford, PA), was recently named the recipient of the 2017 ASTM International James A. Thomas President’s Leadership Award. ASTM President Katharine Morgan will present Mutnuri with the award during the Composites and Advanced Materials Expo in September. The President’s Leadership Award recognizes individuals early in their ASTM career who have significantly advanced the society’s mission through extraordinary accomplishment, example and vision. It is presented annually to two deserving ASTM International members. A member of ASTM International since 2012, Mutnuri is being recognized for the immediate, significant impact on and leadership of the subcommittee on reinforced thermosetting plastics (D20.18) of the ASTM International Committee on Plastics (D20). In 2015, he received a Certification of Appreciation from the committee. 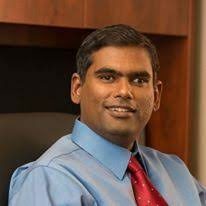 Mutnuri holds a bachelor’s degree in mechanical engineering from the Jawahalal Nehru Technological University in India, and a master’s degree in mechanical engineering from West Virginia University. In addition to ASTM International, Mutnuri is a member of the Pultrusion Industry Council, ASCE Load and Resistance Factor Design of Pultruded FRP Structures Committee, and the Cooling Technology Institute. Mutnuri told PlasticsToday that he is “thrilled with the award. It’s exciting to have this, as it represents an achievement and recognition both for me and the ASTM staff. Everyone contributed to this,” he said.